A rendering of the new Saks Fifth Avenue Houston at night. Opening in the Galleria in 1997, the current Saks Fifth Avenue Houston is a monument to mall culture—the monolithic limestone façade facing Westheimer is basically a temple dedicated to luxury shopping. But almost as soon as Saks was installed in the mall, consumer tastes changed. Malls have been challenged for shopping supremacy by open-concept shopping centers like River Oaks District. High-end shoppers began to demand a experience that included luxury finishings and details in keeping with the price tags of the goods on display. 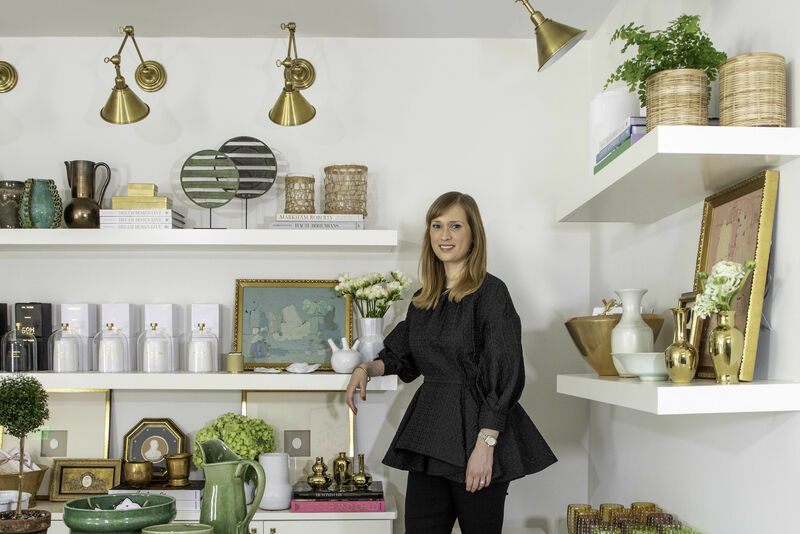 Younger customers preferred boutiques over megastores. To respond to a changing retail environment, Saks Fifth Avenue has unveiled detailed plans of its new Galleria department store, gathering media for a comprehensive presentation on Tuesday evening. The big news is that the new store will open on April 28, with the current space closing at the end of the day on April 20 to facilitate the move. "This is the biggest move of its type that Saks has ever done," said Bobby Dees, vice president and general manager of Saks Fifth Avenue Houston. 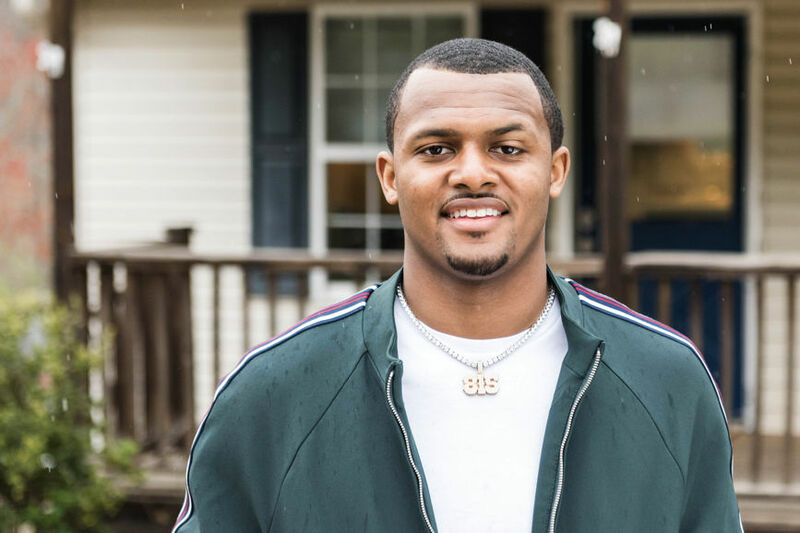 "It's going to be a very special store." The present Saks Fifth Avenue Houston is one of the most successful stores in the company—it typically ranks third in sales volume, after the New York and Beverly Hills stores, though it's fallen to fourth during the current construction. The new store is set to surpass even those numbers at 20,000 square feet larger, with the biggest footprint and volume of any Saks outside of Manhattan. A rendering of the Saks Fifth Avenue Club, open to all shoppers on the second floor of the new Saks Fifth Avenue. Designed by Saks' in-house team along with CBX, the renderings present a store infused with rich, non-retail finishes, including a spiral staircase to the second floor and a clean color palette in shades of white, from whitewashed woods to marble. But the biggest change is not the fixtures, it's the layout, which radically rethinks what a department store should look like. 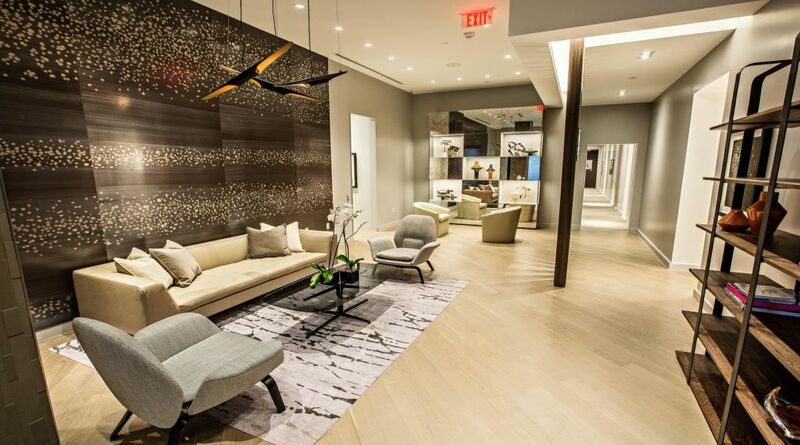 Instead of big, open spaces, Saks is rolling out individual boutiques inside the store for its most prestigious brand partners, making it almost like a mall inside a mall, but with cohesive service and only-in-department-store perks. Among the 22 dedicated shops in women's designer apparel, to be located on the second floor, are Dries Van Noten, Alaïa, Alexander McQueen, Proenza Schouler, Chloé, Altazarra, Fendi, Etro and Lanvin. On the first floor—there will only be two levels, Dees notes, because research has shown shoppers don't tend to venture up past the second floor—the entrance will be flanked by the luxury sector's two big moneymakers: women's shoes and handbags. The former will include a Christian Louboutin boutique, the first of its kind outside the New York store, and Prada, Louis Vuitton and Dior will be among the handbag boutiques. Within the cosmetics and fragrance department will be the "crown jewel" of the store, with all counters expanded into, again, boutique-like spaces. The biggest of these will be the Chanel beauty boutique, though the most prestigious might be the forthcoming Gucci beauty boutique, the first time the coveted beauty line will be available in Texas, and one of only five points of distribution for the brand in the United States. 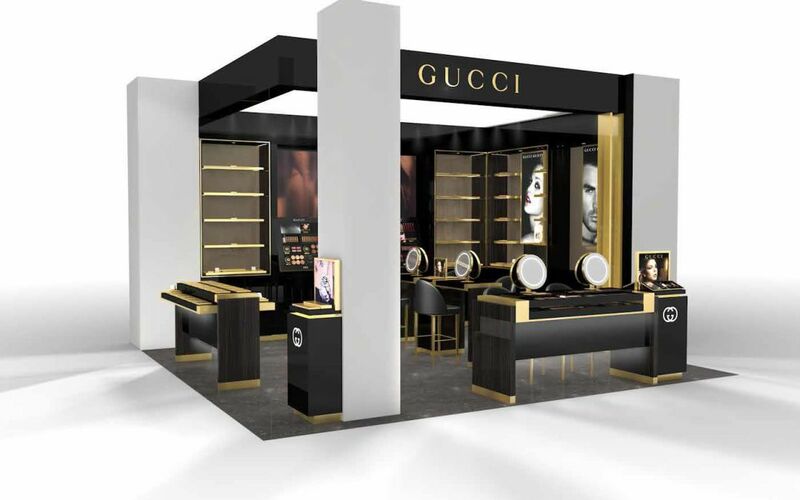 A rendering of the Gucci beauty boutique inside the new Saks Fifth Avenue, opening April 28. The men's department will also be on the first floor, divided from the cosmetics department by Bar 12, described as a casual gathering space. 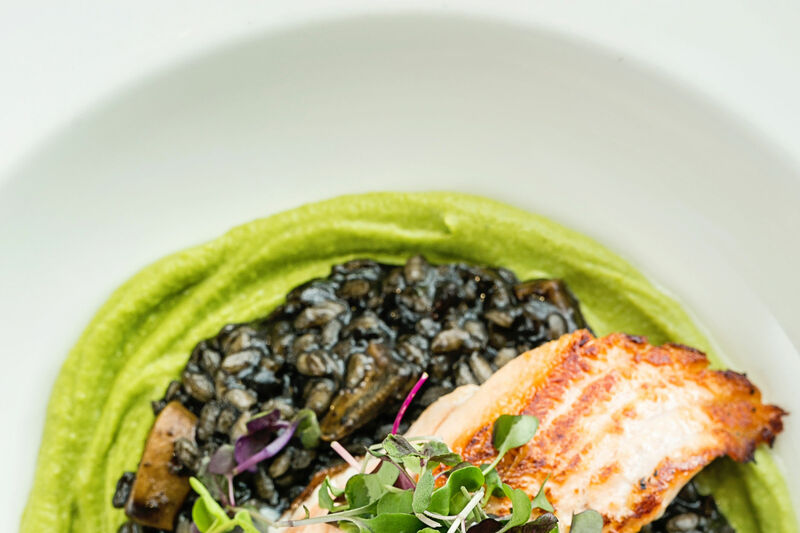 It was designed by Nina Magon of Contour Interior Design, as was the new 51Fifteen restaurant on the second floor. "There's a lot of white, grey, black and brass, " said Magon. "We wanted it to be modern but everlasting." The renderings show a clean and sophisticated space, festooned in marble with an eye-catching field of three-dimensional white tulips hanging from the ceiling. 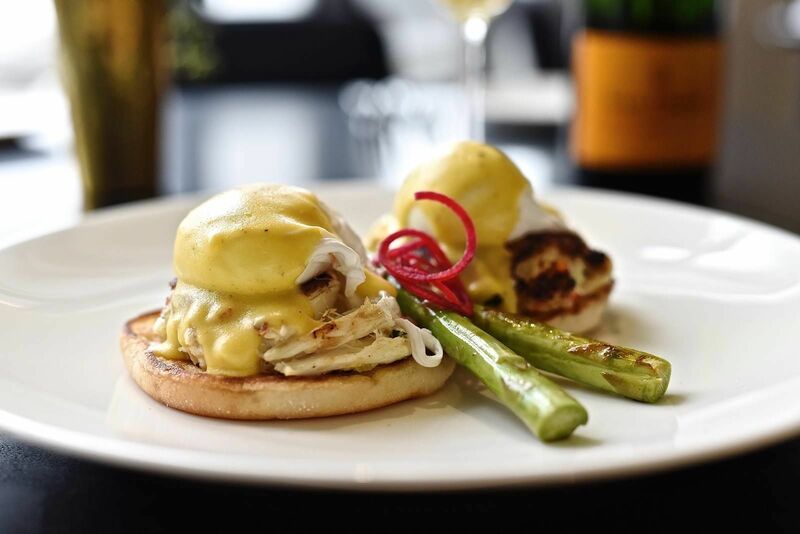 The restaurant will have two private dining spaces and its own entrance from the two-story garage beneath Saks for functions outside of store hours. 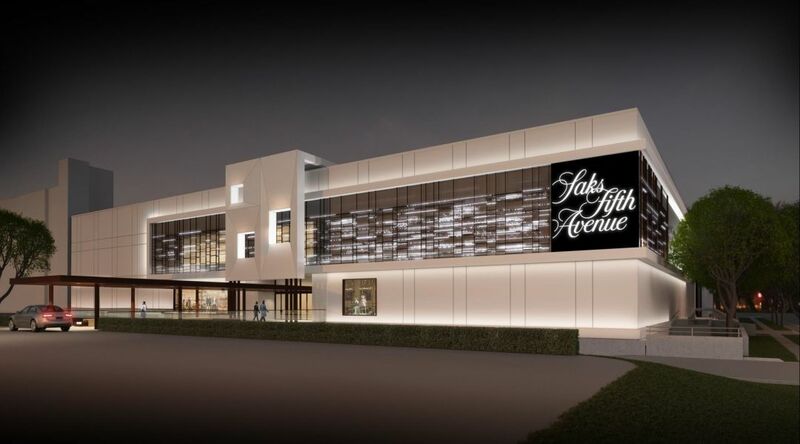 The new Saks Fifth Avenue Houston will be inaugurated by a series of preview events, including a Houston Grand Opera VIP dinner on April 26 and a kickoff for M.D. Anderson's 75 anniversary on April 27 in advance of the ribbon-cutting on April 28. All three events will feature British designer Erdem Moralioglu of Erdem—a favorite of Kate Middleton—in his first visit to Houston. Let's just say, as spring awakenings go, this one is pretty big. 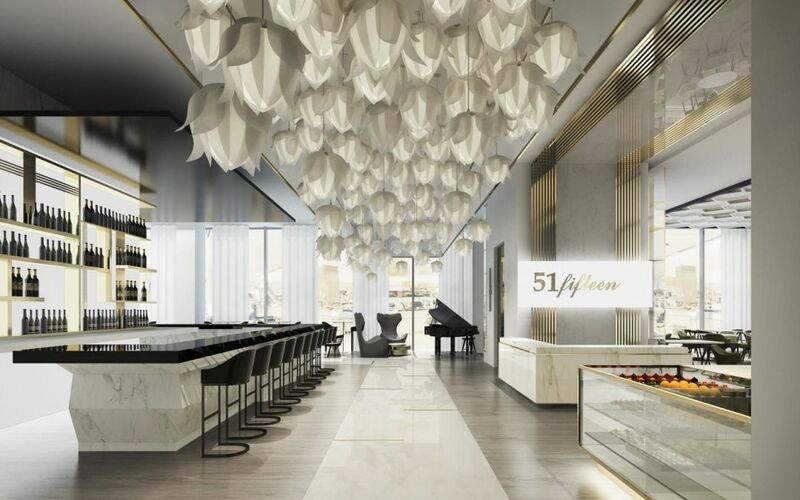 A rendering of 51Fifteen, the restaurant inside Saks Fifth Avenue Houston, designed by Nina Magon of Contour Interior Design.